You just got a custom pair of orthotics but they aren’t helping. What happened? Did you get ripped-off? Maybe custom orthotics don’t work for you. One of the most commonly overlooked problem with custom orthotics is the shoes. A chiropractor or physiotherapist may recommend and give you a pair of great custom made orthotics. Still these great pair of custom orthotics aren’t helping, even worse the orthotics are giving you pain in new places. With any new pair of custom orthotics there’s a break-in period. It’s not like buying a new pair of shoes. Shoes aren’t custom molded to your feet. Orthotics, on the other hand that are custom made to take into account how your feet are working while you are walking. This means that there’s going to be more support around the arch and sometimes around the heel, balls of the foot and other areas. The extra support for the foot means that your foot has to deal with a new position which may cause temporary pain from ligaments, muscles and tendons that haven’t been in that “correct position” for a long time. “Correct positioning” of the foot can cause a chain reaction which starts in the foot and moves up the body to the ankle, knees, hips and the lower back. A change in how the foot is positioned can change how the other bones are aligned above. Keep in mind the new aches and pains are temporary and for many of you there won’t be any pain at all. This break-in period for custom orthotics is usually about 2 weeks. Pain immediately upon putting in the custom orthotics into your shoes usually means the shoes are too small for the orthotic or you didn’t take out the insert that comes with the shoes. You need to put the orthotics in another pair of shoes if the shoes are too small, or take out that insert even if it is glued in. If your shoes are large enough to accomodate the custom orthotics you might still get an ache within an hour or two of putting in the orthtoics. This is normal for many people. 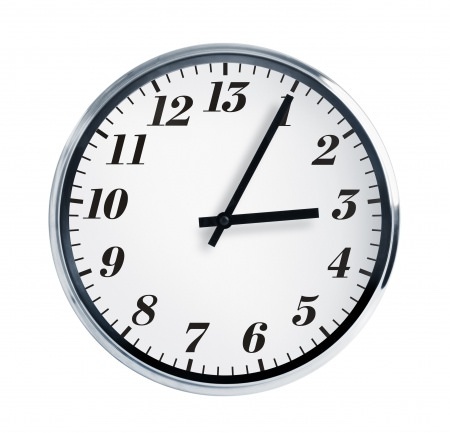 You should walk, stand and sit in combination and take your orthotic out after 1-2 hours. This way the ligaments and muscles can adapt to changes from the new orthotics. You can gradually increase the amount of time you leave the orthotics in your shoes by 2 hours everyday until your foot is used to the support that the orthotics gives you. If you start getting blisters or “new” calluses or corns at the end of the day then your orthotics need to be modified or the shoes need to be changed. If there are no blisters, corns, or calluses after wearing the orthotics for the whole day means your foot is adjusting quite well. Shoes are too small to accomodate your custom orthotics. Your break-in period was too short. Your custom orthotic needs to be modified. In this case take the custom orthotics out of your shoes right away. Quite often people just stick their orthotics in the pair of shoes they have been wearing for the last 6 months, sometimes shoes that are over a year old. Shoes wear out and need replacing. Shoes don’t give the same support when they are worn out compared to when they were new. 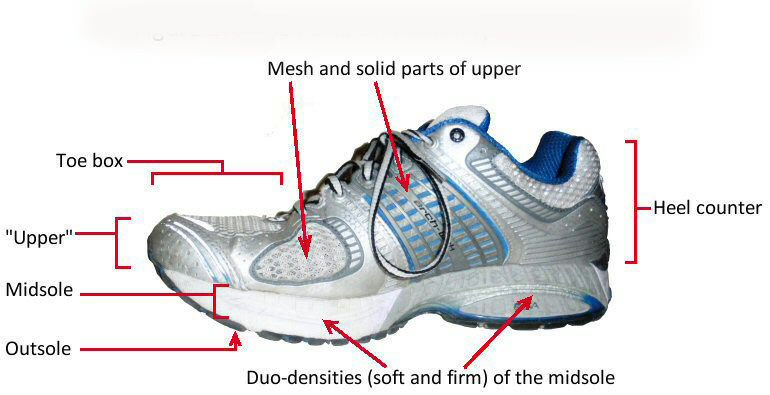 Besides having a recent pair of shoes you should for look for the following things when buying a pair of shoes to fit your orthotics. First you need to bring your orthotics to the shoe store with you. Heel Counter: Your heel Counter is the back part of the shoe. Grab the heel counter in one hand and squeeze as hard as you can. There should be little give in the heel counter. Toe Box Bend Test: Hold your shoe with two hands with one hand just underneath the toe box. Try to bend the shoe at the sole. If it bends in the middle than the sole it is too soft. The only place the shoe should bend is where your big toe would be. ie. The shoe should bend about 2 -3 inches /4-7 cm from the front. In the picture above I am holding the heel counter with one hand and I am bending the shoe near the toe box. Twist Test: Hold the front and the back of the shoe and twist as hard as you can. The shoe should not twist at all like a cheap pair of sandals. In the picture above I am twisting the shoe easily. You may be able to see that the shoe is bending way too much. Shoe Insert: You should be able to take out the insert that comes with the shoe. Even if they are glued in take them out and insert your orthotic. If you can’t take out the shoe insert, don’t buy the shoe. Custom orthotics should be guaranteed. Make sure when you purchase orthotics from your chiropractor or physiotherapist that they guarantee the custom orthotics. You should be happy with your purchase. If you pair the orthotics with the right pair of shoes most people are quite happy with their orthotics. Ask: Do you have a money back guarantee for your orthotics if they don’t work. In my experience I have never had to give a patient their money back because the orthotics didn’t work. I have had to modify the orthotics but in the end every single one to date has been happy. I recommend a one month follow-up appointment for free but often times the people that are happy cancel their appointment since they see no issues. Perhaps this individual was fitted with their orthotics by the wrong practitioner. Chiropractors and physiotherapists are not trained adequately to fit and assess function of foot orthotics. When foot orthotics are being “sold” to increase the bottom line as a side business to what the practitioner is actually trained to do, poor results are all but guaranteed. When foot orthotics are assessed for, fabricated by and fit by trained professionals, who only fit orthotics as their sole vocation you will achieve much better results. You say that your articles won’t agree with everyone and are not always informed, however you position yourself as an authority. You can’t have it both ways. Thanks for your comment James. Chiropractic is a post graduate designation with four years of biomechanics, gait analysis, 7 hours of anatomy a week for a year which is more extensive than medical schools in North America. Chiropractors also take X-rays and are taught to read X-rays like the other doctors which can be very important for diagnosis. Chiropractors are taught to not only look at the way you walk, and your posture while you stand but the overall function of the body. So when someone has back pain, pelvis problems and even mid back pain I often look at their feet. On the other hand your back and pelvis also affect the feet. The other practitioners whose sole job is to only deal with the feet cannot treat the lower back effectively (out of scope) when sometimes that is all that is needed. For example a common problem is a functional short leg. This is a short leg that is due to the pelvis going into flexion or even the lumbar muscle tightness can make one leg appear short. This can cause problems in either the short or long foot. Correct the pelvic problem and the short leg goes away and the foot problem goes away. Sometimes orthotics aren’t needed. It’s also cheaper for the patient and the insurance company as well. Well said, Dr. Nakamura. I work for a chiropractor, right next door to a podiatrist. We have so many patients who come here complaining of the “hard plastic” type of orthotic that the podiatrist has fitted for them. We use a special scanning device that gives us a 3D image of the patient’s feet. They are always surprised how different their own feet are from one another! We then find out their height, weight, type of shoes they typically wear and their activity level. This goes in to the computer and it tells us which type of custom prescription orthotic is best suited for them. The info is then sent to a lab and their orthotics are made. This is all done after a thorough exam and gait analysis. We also do X-rays on their feet. Custom orthotics, along with chiropractic care is beneficial for everyone. We have had no complaints. Thanks for your comments Justsayinyaknow. Sounds like you are doing a great job there with your custom orthotics. Keep up the good work.